We have crane trucks that have cranes fitted behind the cab or rear mount crane trucks for more specific job applications. Each crane truck is fully equipped with slings and our drivers and riggers are second to none. Crane Truck Hire Johannesburg is a focus area for us at Crane Hire South Africa with rates that are extremely competitive. Every crane truck is fully equipped with slings and an operator and in the event of a complex or very heavy lift a certified rigger or supervisor will accompany the crane truck to ensure that your lift goes ahead without any problems. When submitting your request for a quote on Crane truck hire please include as much information as possible on the job required. 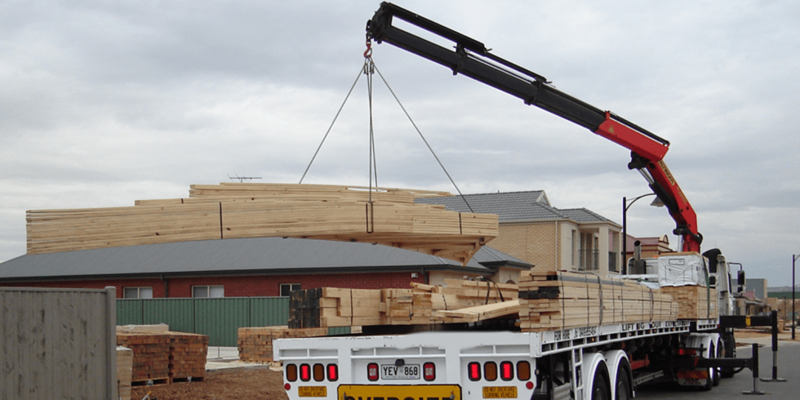 The approximate date, location, transport required, weights and dimensions of the lifts and any other information that will assist us to calculate the correct crane truck for the job. The Demand for Crane Truck Hire Johannesburg has increased to the extent that our fleet is extremely busy, with the 160 Ton Erkins in our fleet being in very high demand and booking is essential to ensure that the cranes are available.